Laura Huenneke is an ecologist and conservation scientist who has also served in university leadership positions. 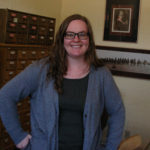 She grew up in St. Louis and completed a bachelor’s degree in biology at the University of Missouri (Columbia), before earning a Ph.D. in ecology and evolution at Cornell University. Dr. Huenneke spent 16 years at New Mexico State University, where she became Regents’ Professor and department chair in Biology. In 2003 she moved to Flagstaff and Northern Arizona University, where she served as dean, vice president for research, and provost (vice president for academic affairs). 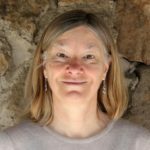 She has been elected three times to the governing board of the Ecological Society of America (most recently as President for the 2018-19 year). 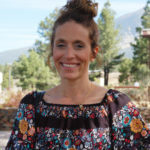 Dr. Huenneke has served on the boards of numerous non-profit organizations, including the Las Cruces Natural History Museum, the Arboretum at Flagstaff, and the Arizona Chapter of The Nature Conservancy; currently she is a member of the Hopi Education Endowment Fund board, and she chairs the board of Flagstaff STEM City. She and her spouse, Stephen Warburton, have been grateful supporters of the Museum since arriving in Flagstaff. Nic Beckett grew up here in Flagstaff and loves the supportive community. 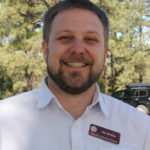 He studied sustainability and business at ASU and sustainable communities at NAU. A second-generation Flagstaffian, Liz McGinlay ran track for Flagstaff High School and sang in a traveling choir while studying history at NAU. After graduating, she taught high school economics and history for a few years before moving into the non-profit world. McGinlay and her husband John have three children. McGinlay still runs and sings, though not at the same time. 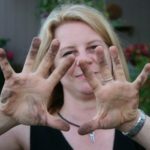 After growing up near Seattle, Kristan Hutchison went east, earning a BA in Political Studies from Bard College. Her journalism career took her to Alaska, and eventually Antarctica, where she ran a publication for the National Science Foundation. After Antarctica, Hutchison ended up in California's Silicon Valley, working with science education non-profits, before she and her husband, Joe Mastroianni, escaped to Flagstaff.